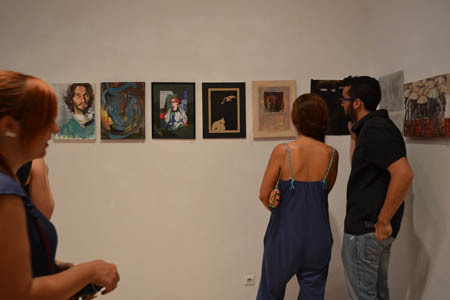 Technohoros Art Gallery invites us to play a wall art-monopoly. 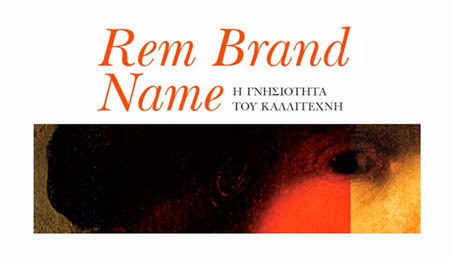 In the last exhibition of this year which is entitled “Rem Brand Name - The authenticity of the artist”, we are asked to obtain an artwork by giving, why not, even 5 euros! 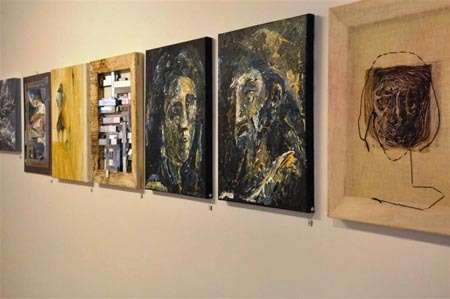 This exhibition is a new project of the students of the 3rd painting workshop of Department of Fine and Applied Arts in Florina in the university of west Macedonia, and it was based on the idea of Gabriel Ftelkopulos. 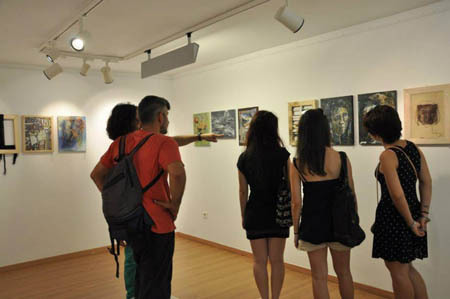 The exhibition, at the same time, is taking place in Lola Nikolaou gallery in Thessaloniki and gives this game the opportunity to be networked. As the art lovers are entering the gallery, they will see the effigy of the portrait of Rembrandt (self-portrait with the cap) dominating the room. The rest of the artworks whitch are created by 60 artists will be placed in a different place, a peculiar depot, a bank which guards the artworks. Angeliki Papamichael, Catherine Lambropoulou AikateriniTourtoura, Alexandra Tsitsinta Amalia Smith, Adrianna Maltese, Andromache-Anna Andreou, Anna-Maria Samaras, Aphrodite Grizi, Achilles Zazos, Varvara Mystiloglou, Vassilis Kavouridis, Basiliki Bourma, Basili Perikleidou, Gabriel Ftelkopoulos, Georgia Damian, George Kevrekidis, George Pantazis, Dimitra Bayraktar, Irene Mnatsakanian, Irene Olympian, Irene Fountouradaki, Helen George-Sarlikioti, Helen Manousaridou, Eloizos Themistocles, Eri Agriou, Evangelia Athanassiadou, Evangelia Karastergiou, Evangelia Menounos, Evangelia Tiganita, Theone, Thomas Makinatsis, Kosttantinos Michiko, Magda Christopoulou, Maria Dimopoulou, Maria Theophilou, Maria Tentzoglidou, Mina Kouzounis, Nelly Rizou, Olga Bogdanou, Panagiota Karvouniari, Antonakaki Sophia, Stella-Maria Katsampeki, Fotini Geli, Harralmabos Margaritis, Christos Dimitriadis, Christos Ioannidis, Garofalidou Christiana, Christina Panas, Christina Tzani, Chryssoula Xyneli.